Click on your Units icon and highlight the unit that requires the change of ownership and then click on the Ownership Change icon from within the Units area. Select the Insert Button. Enter the date the ownership changed, provided it is in the month you are still currently working in. Now click on the magnifying glass to the right hand side of 1st Owner and select your new owner. If this owner is not currently set up then simply click on insert and complete Add New Owner Fields. The ownership is always set to 100 unless the unit funds are to be disbursed between two owners in separate cheques or by bank transfer. One thing to remember is never delete any prior owners’ details as they are required for historical reporting. 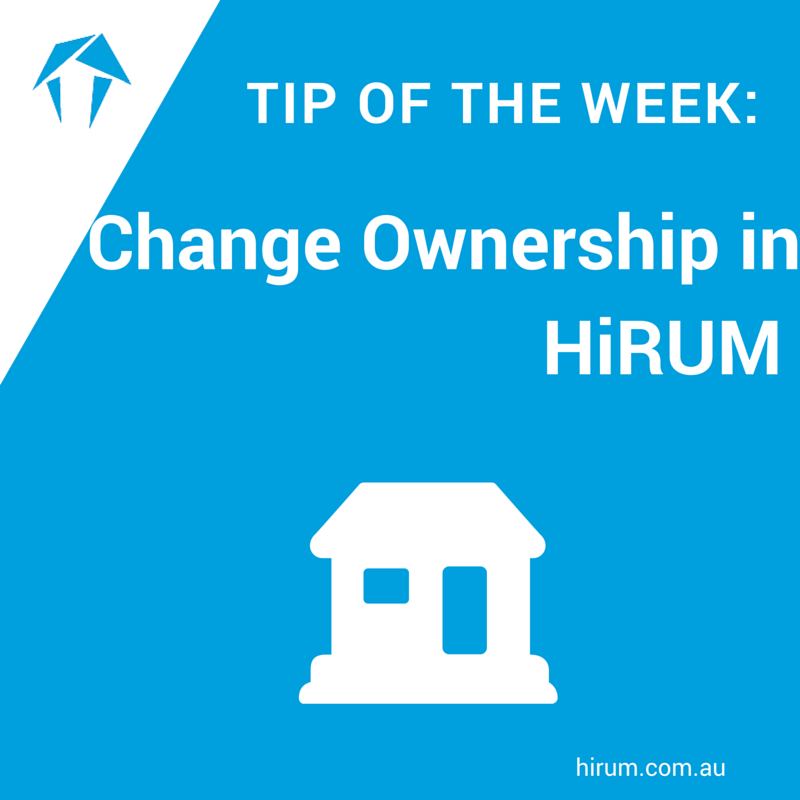 After you have added the new owner the unit will still only have one account however HiRUM will know to generate two statements – one for the old owner and one for the new owner. This will occur until all pending payments have been made to the old owner. If you would like to post a charge to the old owner insert the charge with a date prior to the ownership change. When it comes to End of Month remember that a standard monthly charge will post as at the last day of the month. You will need to manually prorata these charges to reflect the old and new owners. Simply post the standard monthly charges as per usual, go to the unit account and change the amount to be charged to the new owner, then manually insert the standard monthly charge to the old owner remembering to use a date prior to change over.